In the automation industry, the machines have to perform different functions. According to the needs, the equipment has to be customized to work in a particular condition. For the machinery to operate in an efficient manner, it requires 360-degree rotation and continuous transfer of various signals. The mercury slip ring assists in a complicated structure of a rotating machine. It has multiple benefits for the robotics industry or the automatic units. Such slip rings are efficient in performing the laborious and complicated tasks effectively. It is totally secured product for the health of the factory workers. 1)Complete rotations: The mercury contact slip ring completes the full rotation of the device. 2)Support channels: It is a supportive product and can extend up to 300 channels. 3)Signals: It can transfer different signals like the Ethernet, USB, encoder signal, thermocouple, HDMI high definition video, and others. 4)Maintenance: This kind of slip rings requires less maintenance. 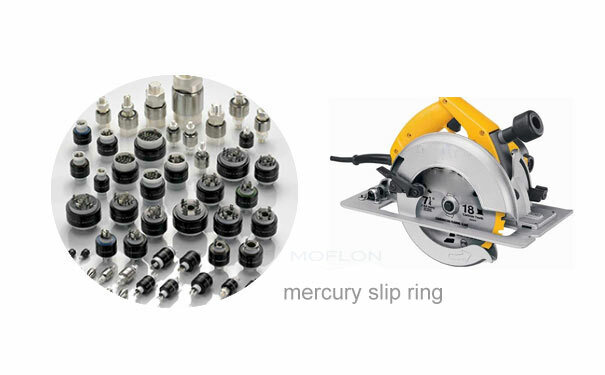 5)Long-serving: The servicing quality of the mercury rings are good enough to solve the problem of twisted wires and other installation problem. 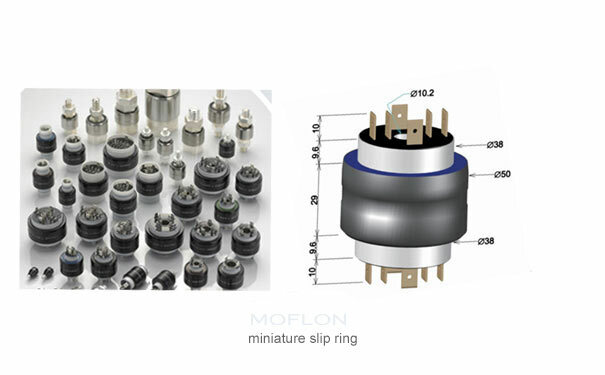 The miniature slip ring is applied for the shadowless surgical lamps in the hospitals. These surgical light help the surgeon to view the tiny particles and body cavities of a patient. This is designed in such a way that it does not reflect shadow or show colour distortion. During its operation, the lamps rotate in 360-degree. To ensure that the surgical lamps receives the required current and signal transmission between the rotating arm and the projecting shaft the miniature slip rings are used. This slip ring does not develop the winding problem and rotates unlimitedly. It is compact in design and small in size. The miniature slip metal can gain higher current and speed. It meets the demand of space limitation. It supports the transmission of mixed signals such as the Ethernet signals, digital signals, analog signals and others. The rf slip ring is installed on the cable wires or the electrical instrument. It helps to supply the power and signal to the cables and other parts of the machines. It conducts many functions like phase modulation, filtering, mixing, detection, etc. The rf electrical rotary connects with the stator body and the rotary structure. Through this slip ring, the electrical current and data signals transmitted to the stationary part from the rotating parts and vice-versa. This kind of slip rings is mostly used in the air traffic control, submarines, military field, border surveillance and others. 1.The slip ring is made of precise metal to prevent less erosion. 2.It loses less friction while rotation period. 3.This slip ring has the capacity to achieve the maximum current. 4.It has the capacity to install in any space. How to design high current slip ring? Pri: Standardized Ethernet Slip Ring is Ideal for the Robotics Industry Next How Much do Slip Ring Assemblies Cost?